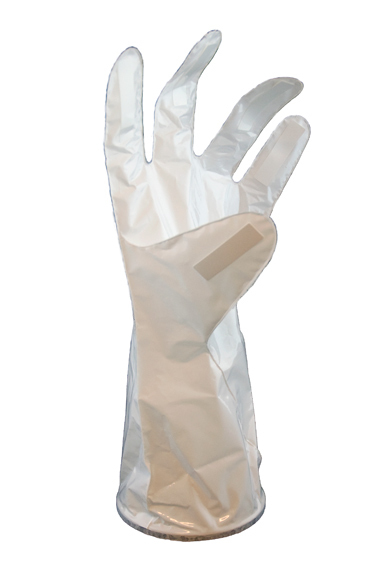 ANSELL Barrier 02-100 glove features proprietary seam-fusion technology, which provides a secure seal against a broad range of chemicals. 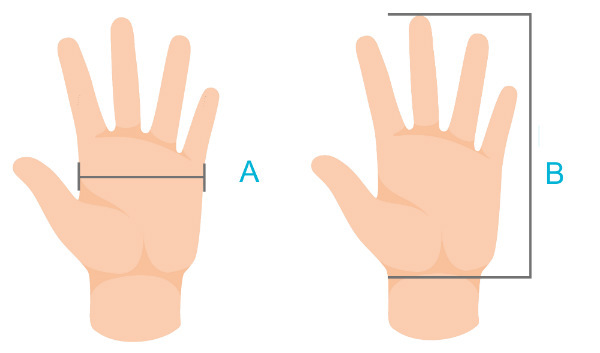 Hand-specific and Wing-thumb design provides greater dexterity - reduces hand fatigue. 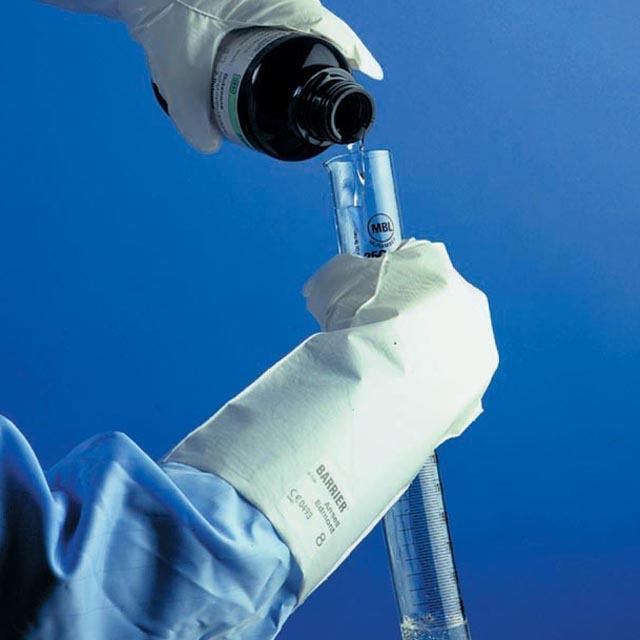 Proprietary seam-fusion technology provides a secure seal against chemicals. Wing-thumb, hand-specific design provides greater dexterity and reduced hand fatigue. Comfortable to wear, even for extended periods. 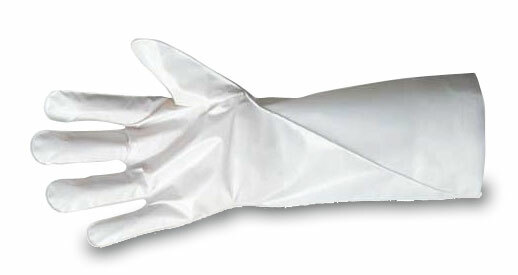 Can be worn as a liner under heavier gloves, even for extended periods. 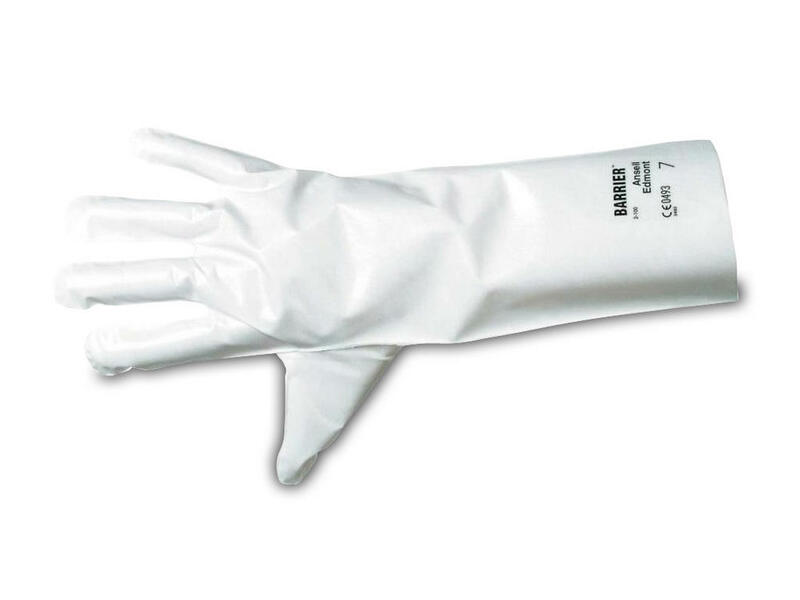 ANSELL Barrier 02-100 Laminated Chemical Resistance Glove conforms to: Cat. III EN374-3:2003 ABC safety standards. COATING MATERIAL: HPPE Laminated Film. Abrasion Resistance: Level - 1. Cut Resistance: Level - 1. 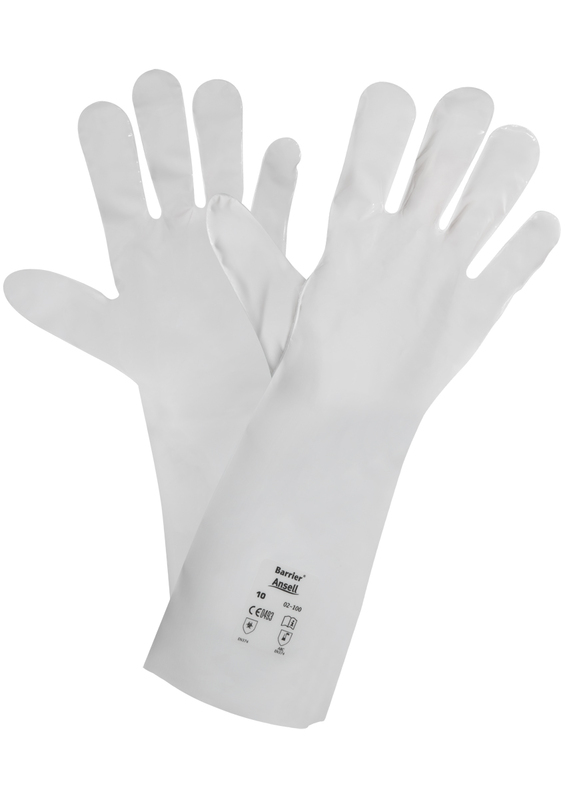 Each glove is individually air-pressure tested.